As we build more affordable and modernised homes, one thing that we have to consider is the rise in crime. Building or refurbishing homes with security considerations in mind is crucial in these perilous times. Now more than ever, your property, from household goods to valuable items like cars, is susceptible to theft or vandalising. The Midlands area has been bearing the brunt of car theft the most with the number of stolen vehicles in 2018 reported to have tripled as compared to that of 2015. About 8,705 cars were stolen in the 2017/2018 period in West Midlands. These reports even isolate the rate of theft per car brand. They reveal that ford has been the most targeted and 1,070 cars had been stolen as of last year. BMW came second with 333 stolen vehicles while Audi followed closely with 327. This has made police around the region to make vehicle thefts a priority issue. Similarly, in Lutterworth, residents have been concerned about the increase in car theft crimes. Last year there were 175 (16.11% of all crime) reported car-related crimes. That is second after violence and sexual offenses which makes up 25.60% (278) of the total cases as of 2018. Consequently, multiple break-ins and burglaries amounting to 10.59% of crimes in the area have been reported. All these have left residents in this area living in fear according to the area police commissioner report. We ourselves are Lutterworth residents and are shocked by the amount of break-ins in our lovely town. We are proud to be apart of the The Lutterworth Action Group who have been working hard to make a change, headed by Sue Jamison. Local police have been meeting with residents to provide the necessary support and advice on the issues. There is still a need for each resident of Lutterworth to take action in actively protecting their properties. Part of taking action is ensuring that your home security systems are in tip-top shape. In this post, we offer you insight into the different security systems you need to help reduce and even stop burglary and theft in your home. So let’s get to it. Closed-circuit television or CCTV systems are among the most popular security systems. First, they can be used as a means to deter burglary or theft. The thought of having someone watching has in the past reduced the arrogance and confidence of burglars. To this regard, CCTV has played an important role in reducing theft. Secondly, they can provide footage in cases of theft. This means that they help in collecting evidence after the incident has occurred. This way, if the thieves made away with your property, they can be easily identified to help in the recovery of the asset and their arrest. Finally, these systems can also be used as interdiction tools in the fight against crime. These systems have been of great help in deterring crime. Research shows that they have helped to reduce crime by 16% especially in the UK. In the past, you would worry about the cost of installing a CCTV in your home. However, the revolution in technology has seen the evolution of high definition and affordable cameras. 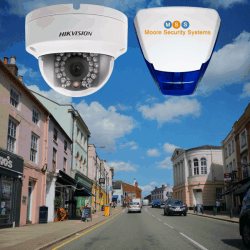 Many a security company today offer competitively priced CCTV systems that can fit the scope of your needs. These systems are very convenient thanks to the advancement in camera and imaging technology. They come with remote access that allows you to control everything from your smartphone, tablet or PC wherever you are. In addition, they provide you with options. Their selling point is their portability. You can place the camera just about anywhere in or around your home. Also, they come in varied sizes, some so small that burglars won’t see them until it’s too late. You can choose between detailed HD cameras and infrared imagery tailored to you individual requirements. However, the higher spec systems can be rather costly depending on the quality and the total number of equipment that you want for your home. They also require maintenance in terms of firmware upgrades and efficiency checks. Luckily, we provide packages to suit everyone, from basic one camera systems to commercial multi camera systems and also provide yearly maintenance at affordable and competitive prices. We will happily beat any like for like quote you produce. Alarms are a great way to secure your home and get some peace of mind. Consequently, they come in various types. There are the purely audible systems that will go into alarm emitting the audible deterrent internally and externally and there are the smart alarm systems. 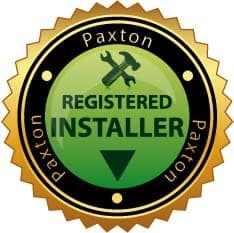 The smart alarm systems will still go into alarm, the same as the purely audible systems, but you will receive a notification to your smart device notifying you of the systems status. With the remote access these systems offer, through the wifi communicator, you are also able to set, unset and omit zones accordingly. This is the most basic and more familiar burglar alarm system. Each zone/detector, keypad and audible device are all hard wired to the control panel. Just like the name suggests, all zones and devices operate on their own wireless networks, both primary and secondary if they detect any form of interference. 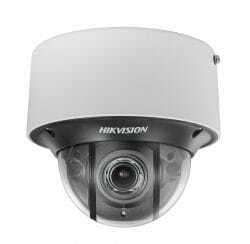 There are also options that suit cameras, infrared beams and external motion detectors. So you can choose the most appropriate solution for yourself. The greatest advantage of alarms is that they do not require constant monitoring. Even your neighbour can contribute to the safety of your home by reporting an alarm alert. Also, with alarm systems, there is everything for everyone with regards to cost. A purely audible system is available fully installed from just £399 . 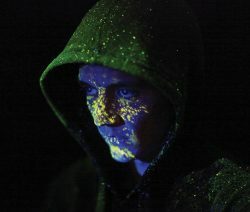 SmartWater is forensically traceable liquid which can only be seen with a UV light. This liquid assigns your possessions and property with their own unique forensic code, which allows your belongings to be traced back to you and criminals back to the crime with a 100% conviction rate in court. 74% of criminals will not attempt a break in where there is SmartWater systems installed and this has reduced burglary by as much as 85% in London areas. Before you choose a security system for your home, it is important to put much thought into it since the safety of your family and possessions depend on it. We are happy to help with any questions you may have, please get in touch for any more information.